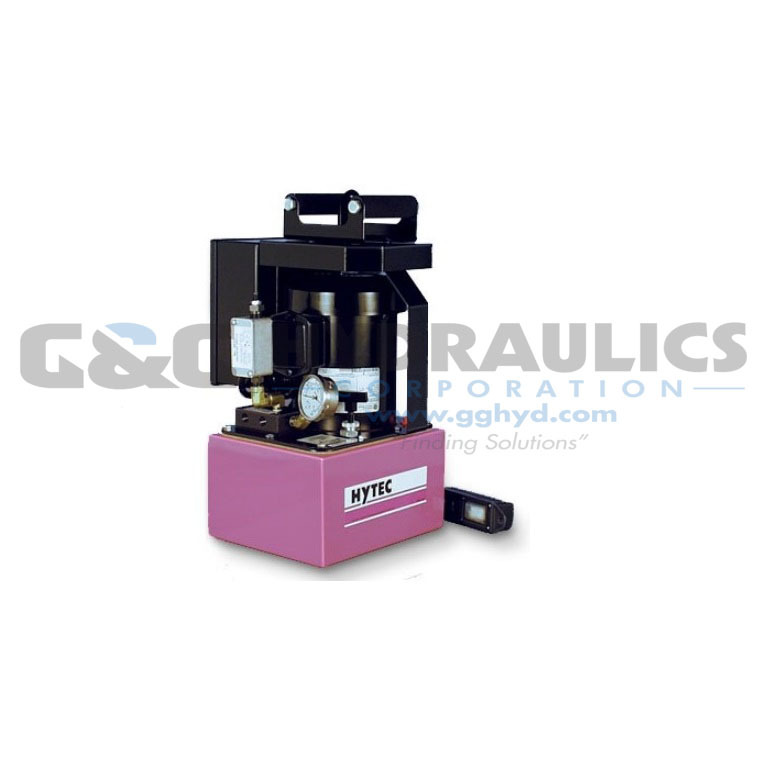 Part #100879 Hytec Manual Pallet Coupling Pump, 1 HP, Enclosed-fan cooled induction, Use with single-acting manual pallet valves. This is Hytec’s popular 1 horsepower, totally enclosed-fan cooled induction motor pump, outfitted to operate Hytec's singleacting manual pallet valves. To pressurize the clamping components on the pallet, simply start the pump using the remote hand switch. It runs until its pressure setting is reached, then stops automatically and drops pressure. 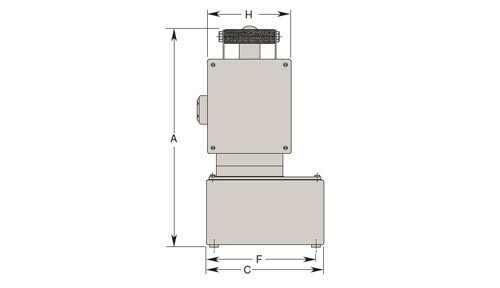 The coupler and hose may now be easily disconnected and later reconnected. 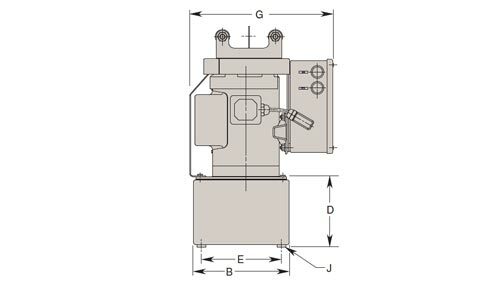 The output of this gerotor/axial piston pump is controlled by a pressure switch and externally adjustable pressure regulator, both adjustable from 1,000 to 5,000 psi. It is shipped with a coupler and 2 gallons of hydraulic oil. Order a hose to fit your application separately. NOTE: * For field conversion to 230 VAC, order conversion kit no. 250186. An optional fluid level/temperature gauge is available. Hose requiring 1/4" NPTF male connections not included - order separately, see hydraulic fluid, hoses & tubing .